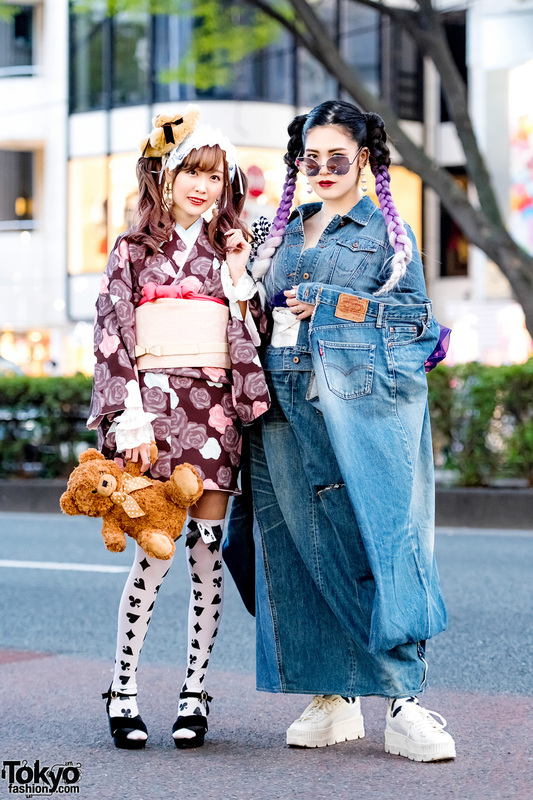 Harajuku girls in modern kimono street styles while out and about on the street. 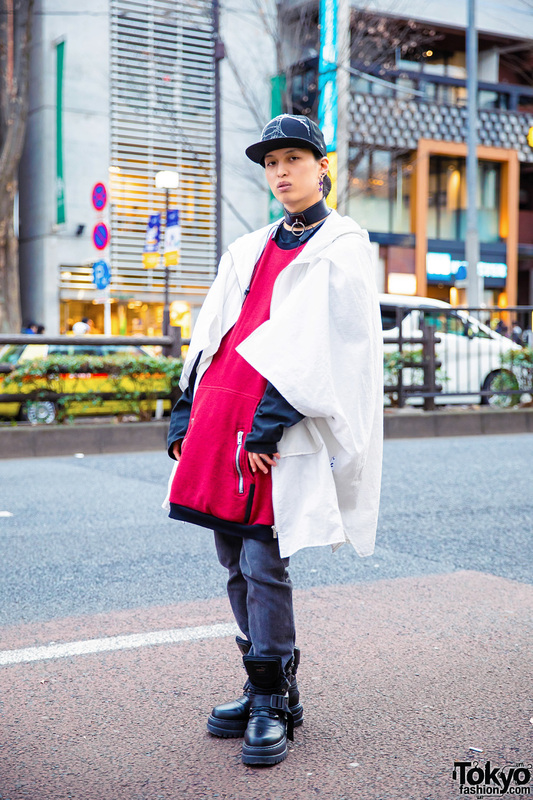 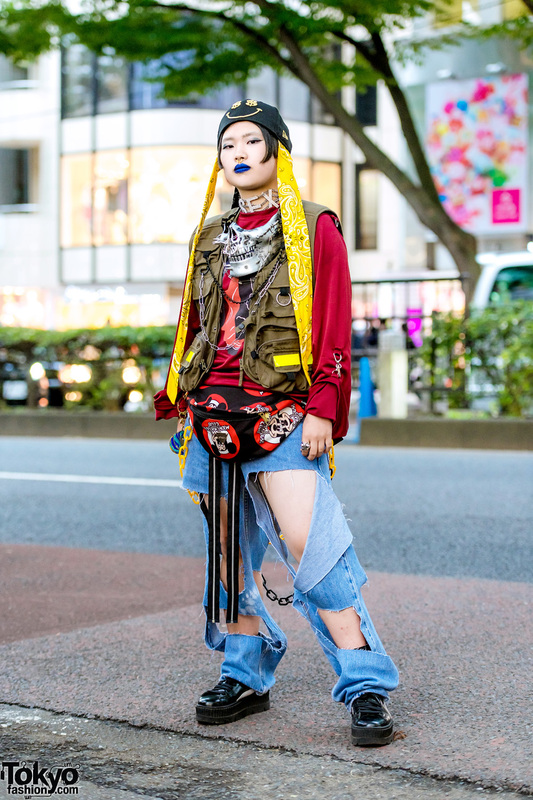 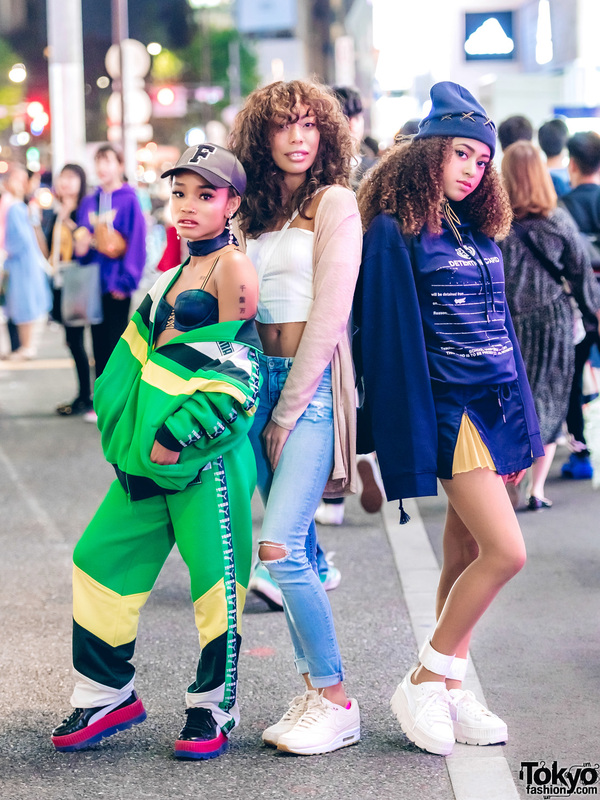 Harajuku Hair Stylist Street Style w/ Fenty x Puma, Christian Dior & Spectusshoeco. 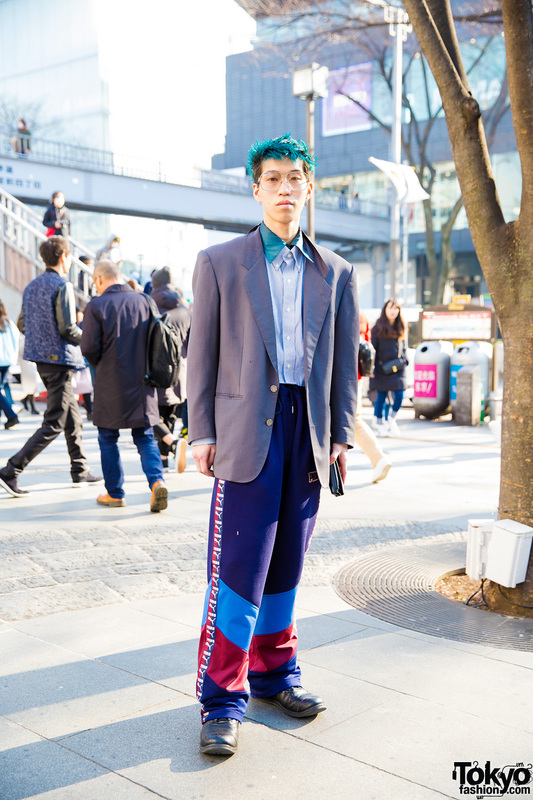 Harajuku hair stylist wearing a blazer, layered collar shirts, drawstring colorblock pants and black sneakers while out on the street. 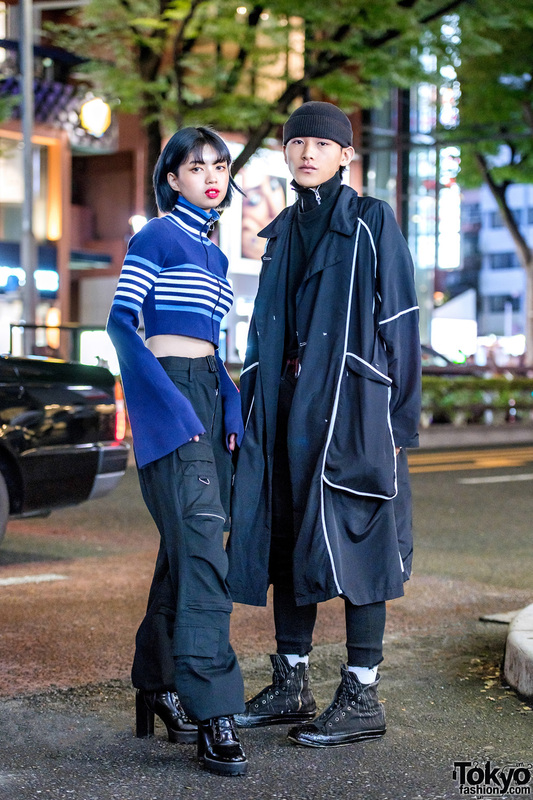 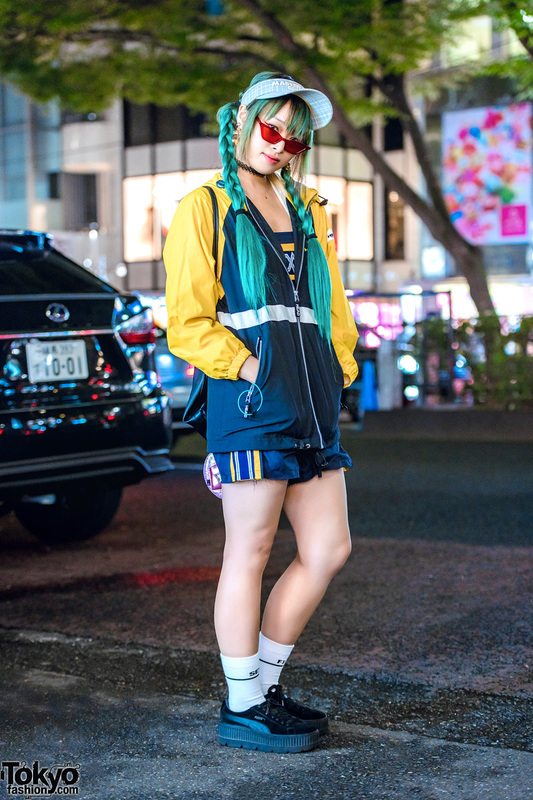 Tokyo girls in sporty casual streetwear styles while out and about in Harajuku.